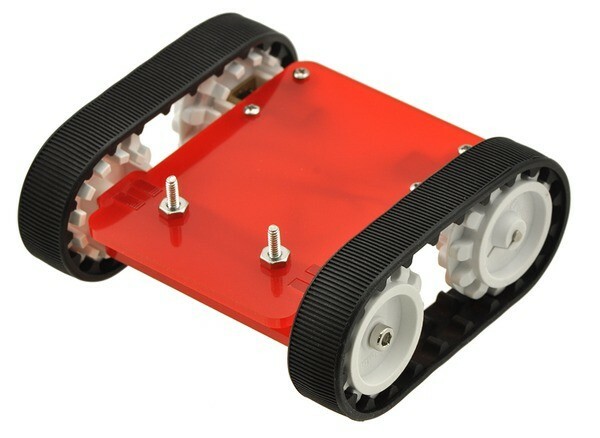 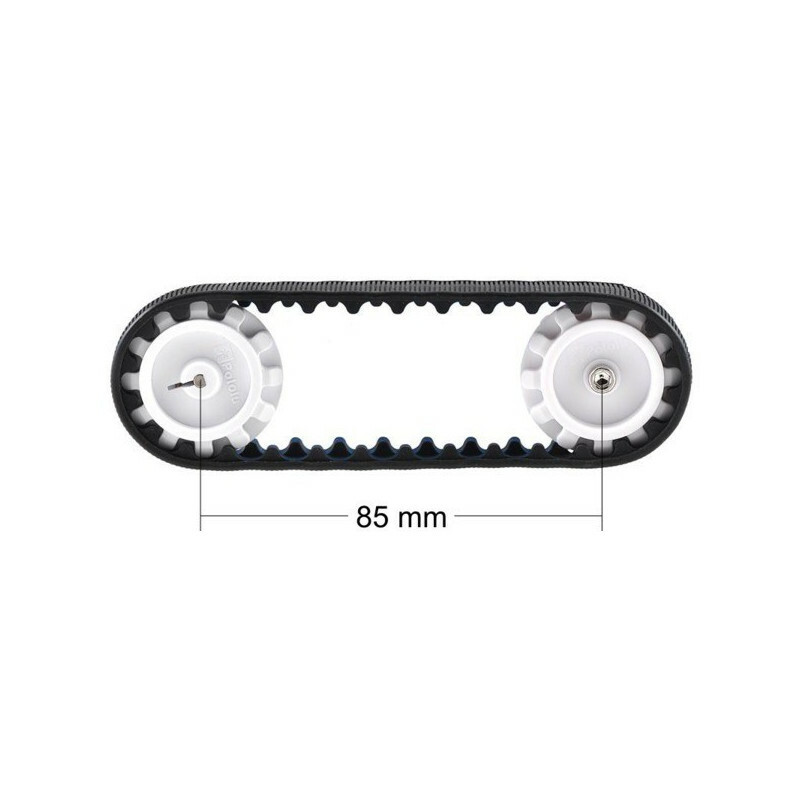 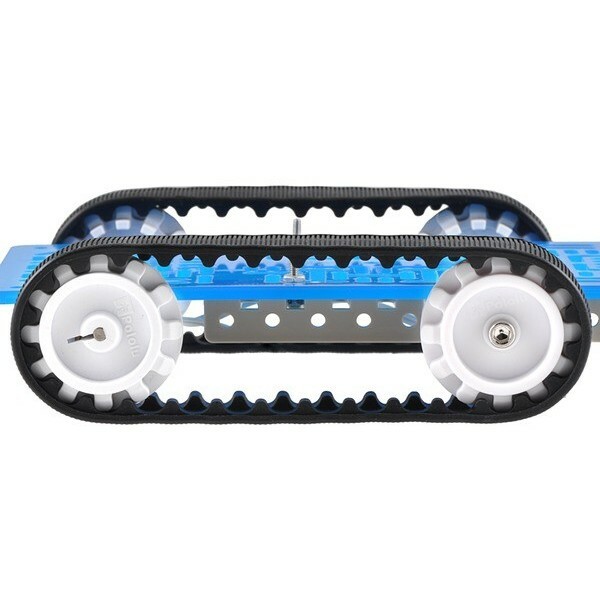 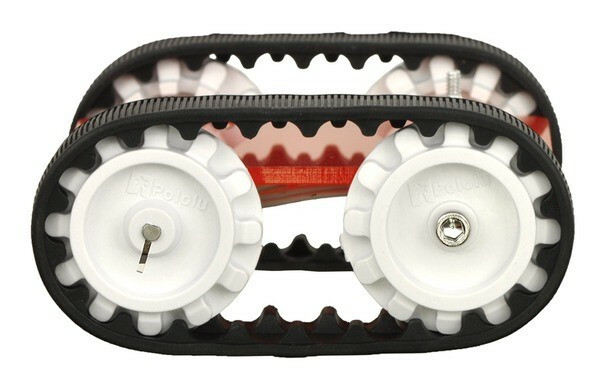 The set includes two parts of the crawler belts after 30 teeth each, two wheels and two wheels are running freely together with elements for attaching them. 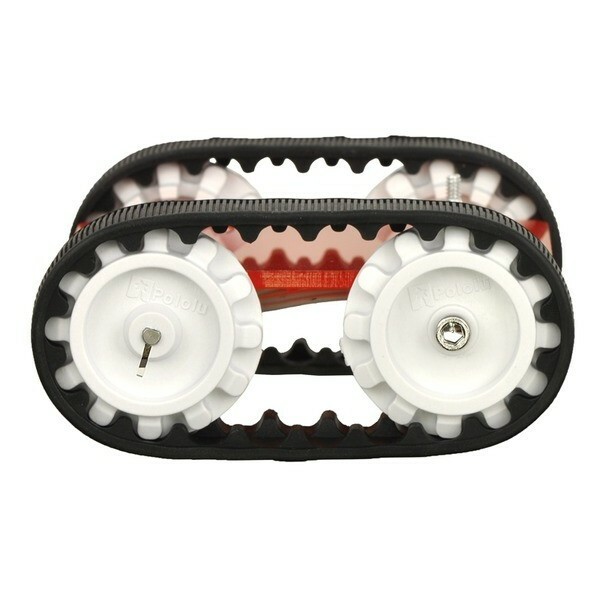 In our offer we have also version 22T with a smaller centre distance of pulleys. 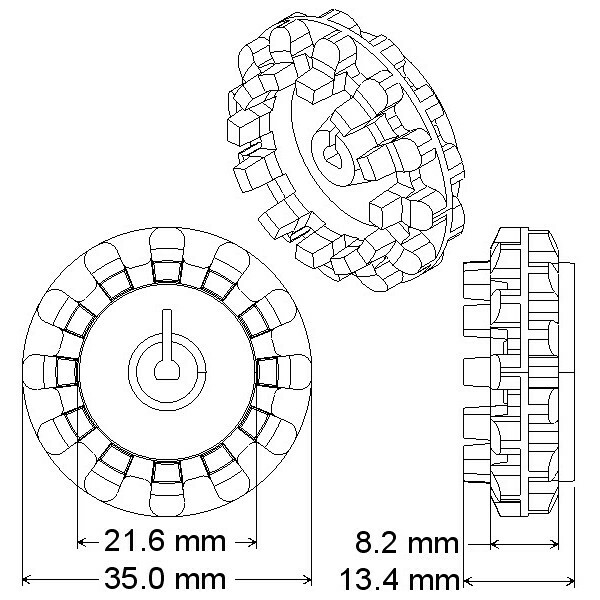 Elements allow you to create gąsięnicowy suspension. 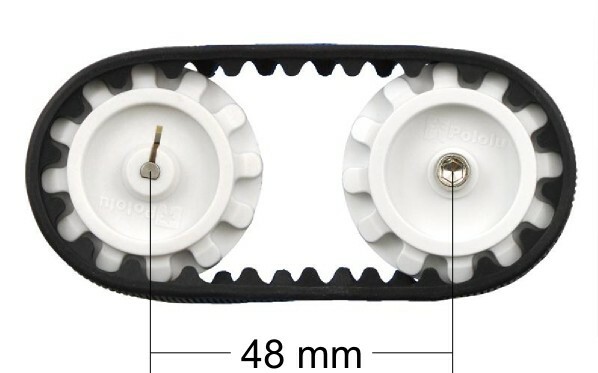 The drive wheels were designed to fit directly on the shafts, micro motors , Pololu (for example, Pololu HP 30:1). 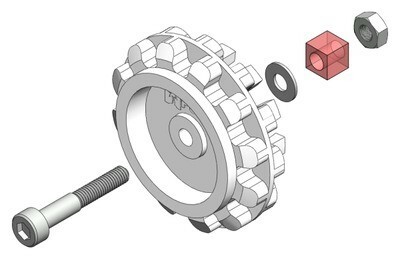 For mounting the engine manufacturer recommends the use of attaching cords. 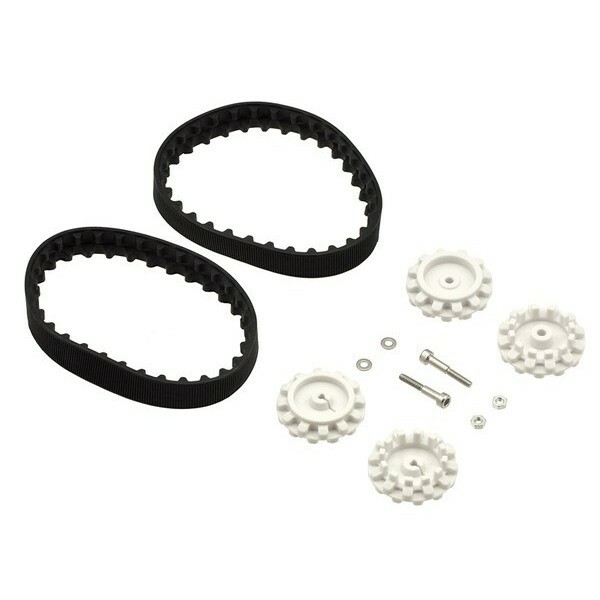 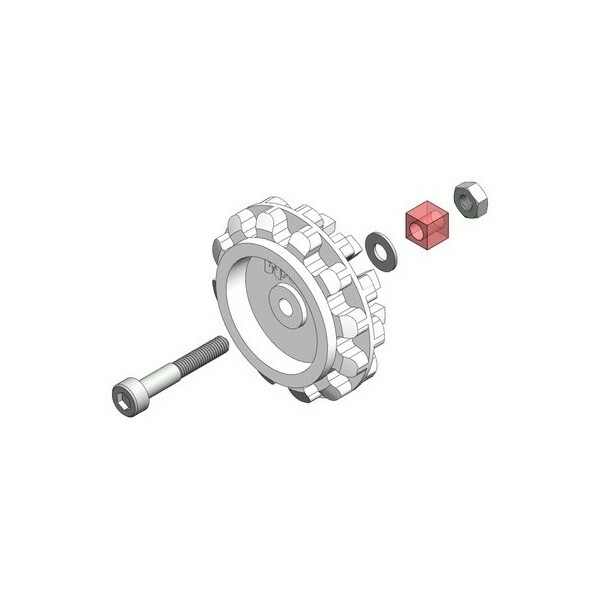 The kit also includes bolts, washers and nuts, which allow in a simple way to build a model. 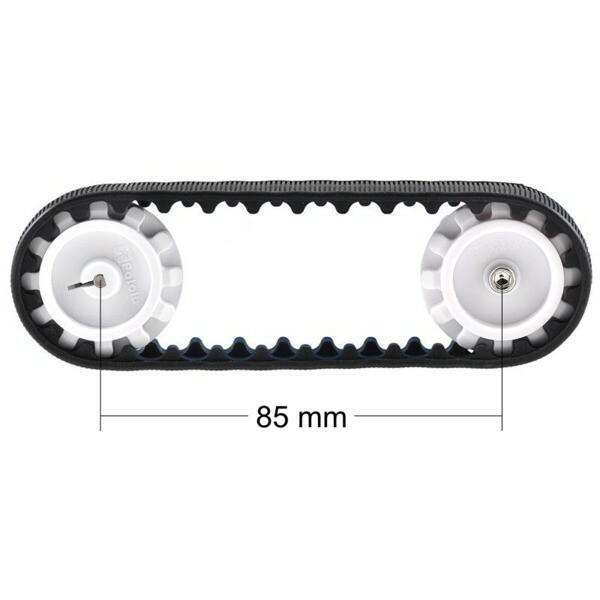 The diameter of a regular caterpillar belt: 39.